A dog enjoying Sprinkles Pupcakes. Photography courtesy Sprinkles Cupcakes. Once a small operation riding the great cupcake wave of the early aughts, you can now find Sprinkles locations from sea to shining sea. 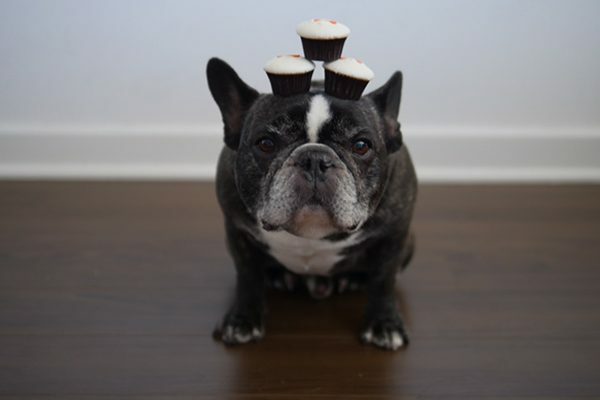 The red velvet, banana and black-and-white cupcake flavors made them a household name, but the addition of Pupcakes has created an unprecedented, multi-species demand for sacchariferous indulgence. These special cupcakes are baked sugar free, then spread with dog-friendly yogurt “frosting” and topped with a candied orange bone that’s essential for making sure you don’t accidentally bite into a cupcake that’s not intended for human consumption. Johnny Rockets operates more than 350 franchise and corporate locations in 28 countries around the world, so it’s safe to say that wherever your travels take you, you’re not far from a ‘50s-inspired diner where your pooch is welcome. As is the case with all of the featured businesses, you’ll want to identify which locations have a patio, and it doesn’t hurt to call ahead and make sure your ruff ryder can roll (let’s hope I’m not dating myself with a DMX reference). If you happen to be at the Victoria Gardens Johnny Rockets in Rancho Cucamonga, look out for a special dog menu featuring the Good Dog Special that includes a carnivorous plate of hot dogs, and an unseasoned beef patty topped with a fried egg. Enjoying a Starbucks Puppacino. Photography courtesy Melissa L. Kauffman. 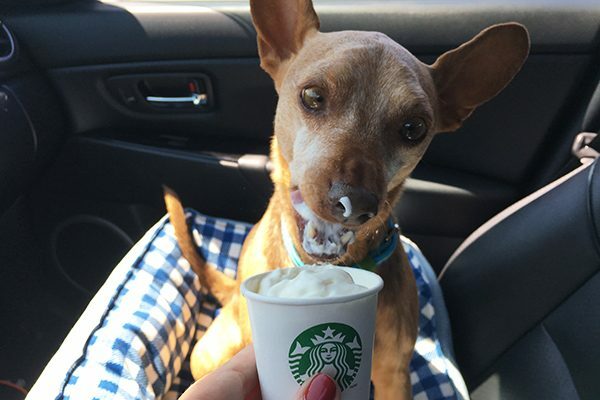 The next time you saunter into a Starbucks for your usual order (venti iced, half-caff, ristretto, 4-pump, sugar-free, breve Skinny Latte), be sure to snag a Puppuccino as well. If you think serving a Starbucks caffeinated beverage to your dog is not okay, you’d be correct. Please don’t do that. The Puppuccino is simply a small cup full of whipped cream from their secret menu that will keep your lil’ fella occupied while you power up first thing in the morning. Danny Meyer’s fast-casual empire might be the most dog-friendly restaurant in America, indicated by this passage lifted straight from their website: “Woof! We’ll always have a special place in our hearts for your furry four-legged friend. We were born in a park, after all! Shake Shack’s dog menu is available at all Shake Shacks except stadiums, ballparks, airports and international outposts.” The two menu items you’ll find at just about every Shake Shack from New York to California are the Bag ‘O Bones (baked by NYC’s Bocce Bakery) and the Pooch-ini (ShackBurger dog biscuits, peanut butter sauce and vanilla custard). The latter includes dairy, sugar and nut products, and it’s not intended for smaller breeds of dogs. Sorry, Posey. A pup chowing down at Lazy Dog. Photography courtesy Lazy Dog. A growing chain catering specifically to dog owners is a brilliant business model. Statisticians inform me that 44% of U.S. households own a dog (according to recent ASPCA data), and 100% of the individuals who own those dogs eat food on a regular basis. One doesn’t need to be a secret genius posing as a janitor at MIT to know that’s a ripe market for success. Lazy Dog has a few house rules for bringing your pooch along for dinner, and they’re as follows: no dogs on the table, don’t let your dog beg, bark or bite, don’t let your dog eat off your plate and keep your dog on a leash at all times. Warren Buffett’s favorite shake in America isn’t just for humans, as they offer a “Pup Cup” for canines as well. The treat features a stripped-down cup of vanilla soft serve (your dog should always stay away from chocolate) with a miniature dog bone on top. Thumbnail: Photography courtesy Sprinkles Cupcakes. Tell us: What dog-friendly restaurant chains are we missing here? 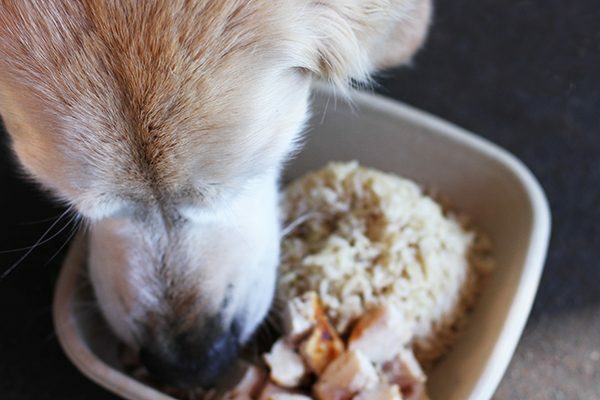 The post 6 Dog-Friendly Restaurant Chains That Have Treats for Your Pup appeared first on Dogster.